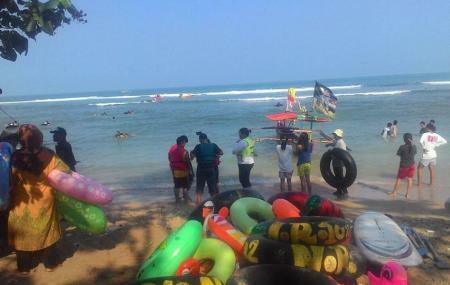 Pantai Matahari, translated as the Sun Beach, is located at the North Coast of Banten. If you are the one who admires the beauty of divine sunrise, you must come to Pantai Matahari. Watching the mist playing hide and seek with the valleys of Krakatau Mountain from the beach is the most stunning sight you will ever see. The beach is stretched over the area of 9 hectares where you can enjoy a romantic walk under the orange sunshine with your significant other. The shoreline is often used as a playground for children. It’s an ideal place for the people who love solitude. Use Carita trip planner to visit Pantai Matahari and many others to your visit. Oomph up your visit by adding the best hotels in Carita like Villa Stephanie, Bali De Anyer Hotel & Restaurant and Aston Anyer Beach Hotel. Draft the best Carita vacation packages using ideal templates offered by TripHobo. Also explore how to reach Carita on the go! Love this? Explore the entire list of places to visit in Carita before you plan your trip. Fancy a good night's sleep after a tiring day? Check out where to stay in Carita and book an accommodation of your choice. The beach is not clean enough. The facility is so so.